Mr. Duff served as an officer in World War II, as both an instructor at the Armored School at Fort Knox, and with the 4th Armored Division 37th Tank Battalion in Europe. Following completion of his master’s degree, Duff spent three years with Pan American Refining Corporation. He then joined the Fluor Corporation as an employee for fourteen years, followed by several consulting assignments and joint ventures. Duff was General Manager of Petroquimica Uniao, in Brazil, with responsibility for the engineering, construction and initial operations of a major grassroots petrochemical complex that stimulated the economy of Brazil in the 1970’s. He was the startup Chairman of the Board of KTI Corporation, and helped establish KTI as a supplier of high temperature processes and equipment in the U.S. He was a founder and Managing Director of Pluspetrol S A in Argentina, and was responsible for developing two major oil and gas fields there. 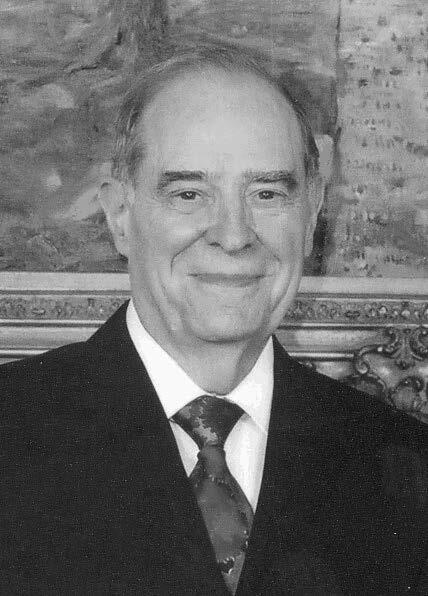 Duff was owner and President of Granada Energy Corporation for many years, providing management and consulting services to new ventures in energy, petrochemicals and oil and gas exploration in the U.S., South America, West Africa, and Australia. Barrett and Peggy Duff have generously established two Doctoral fellowships in chemical engineering.